Sky has continued to improve its Sky Movies service by announcing a multi-year agreement with Sony Pictures Television, which will see Sky offer exclusive access to some of the biggest upcoming movie titles. 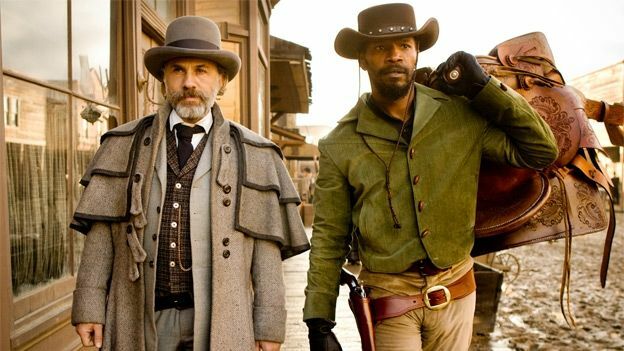 Sky will become the first subscription service in the UK and Ireland to screen brand new movies from Sony Pictures, including Men in Black 3, The Amazing Spider-Man and Django Unchained. Sky Movies customers will be able to enjoy exclusive subscription access to Sony Pictures' new releases around six months after they have ended their run in cinemas, and once on Sky Movies, the titles will be exclusively accessible for at least 12 months in HD and, where available, 3D. Alongside the new releases, Sky Movies customers will also get access to an extensive collection of classic films from the Sony Pictures library, including the first three Spiderman movies, The Da Vinci Code and Bad Santa, available on an exclusive basis while they are on the service. All movies available through Sky's agreement with Sony Pictures will also be available to NOW TV customers with a Sky Movies monthly pass, as well as Virgin Media, UPC and TalkTalk customers who have a Sky Movies subscription. Sky will also make the films available on demand via the Sky Go service, or via the new Sky Go Extra service for those who wish to download movies and entertainment shows to their smartphone, mobile tablet, laptop or MacBook. In addition, Sky and Sony Pictures have also agreed a non-exclusive deal for pay-per-view movies, which will be available to Sky customers through Sky Movies Box Office and on demand through Sky Store. Through these services, all Sky customers can rent Sony Pictures titles, from the latest movies, through to an extensive library of classic films. Ian Lewis, Director of Sky Movies,added: "We're delighted to have secured Sony Pictures content for our customers, further extending our leadership in movies. We are committed to providing our customers with the biggest and best movies, available to watch when and how they want. That's why Sky Movies customers enjoy access to the biggest movies first, in HD, on demand, on the go and in 3D. And with the launch of Sky Go Extra, they can now even download movies to their smartphones and tablets to watch offline."